Genre: YA? There were mature topics discussed in this first book, but I don't think it could really be considered NA. And a mixture of contemporary, mystery, suspense, and romance! It's just everything amazing all in one! UPDATE: Okay! I've completely gone crazy! After having time to contemplate the book and its clues, more and more questions are popping into my head and I cannot wrap my mind around what's going on! 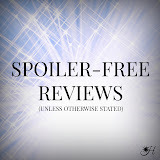 There is so much more to this plot than I ever imagined that I almost want to say y'all should disregard my review. Just know that this is a great mystery/suspense/romance and if you are into trying to decipher a story word by word, this is totally up your alley! I'm torturing myself trying to make sense of it all and loving it all the same. I can't even. What? NO!!! I just finished Never Never. I can't believe what I just read. This is so different from anything else I've ever read and I loved every second of it! Colleen Hoover, props to you for thinking of this crazy idea, and Tarryn Fisher, for getting the ball rolling. Brilliant. The reason I'm not giving Never Never 5 stars is because I'm still conflicted on its length. I love the plot and where it's headed, but it's so short that we weren't able to get a complete story. I feel like I am hardly entitled to give it a rating when it isn't complete. It's like rating an excerpt and rating an entire book off of how I liked that one part. 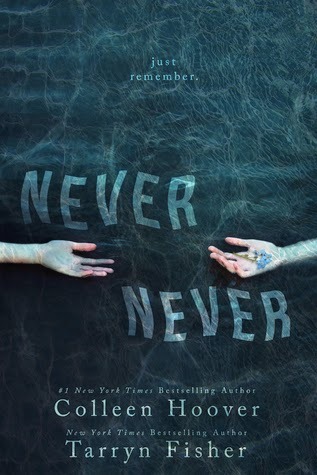 Of course, after reading Never Never I discovered that the reason it is so short is because Never Never had to be published in a novella series, due to Tarryn not being contracted with Colleen's publisher. I would have loved to see Never Never as one bind up instead of three separate publications, because like I said, this just wasn't a full book, but I understand the legality of the situation. Anyway, I love this story so much and there's still so much left to learn (basically everything since nothing was really cleared up in this first installment) about Charlie and Silas, their families, and what the heck happened! There were some elements/motifs that were barely touched up on in this first book (atoning for one's mistakes, serving a purpose outside yourself) that I'm going crazy imagining how they'll play out in the sequels! I know this is just the beginning of what to expect from this series and I cannot wait to read the other books.